Hello Pretty Provident readers. 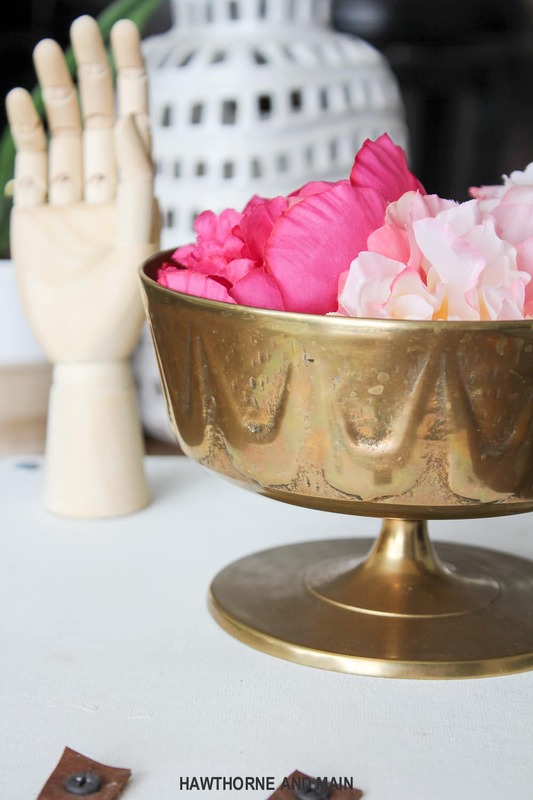 This is Shonee from Hawthorne and Main here again to share a super simple and fun DIY. How many of you have some old books lying around the house, besides me?? Some of them are still good but others are old reads that will…. well….. never get read again. 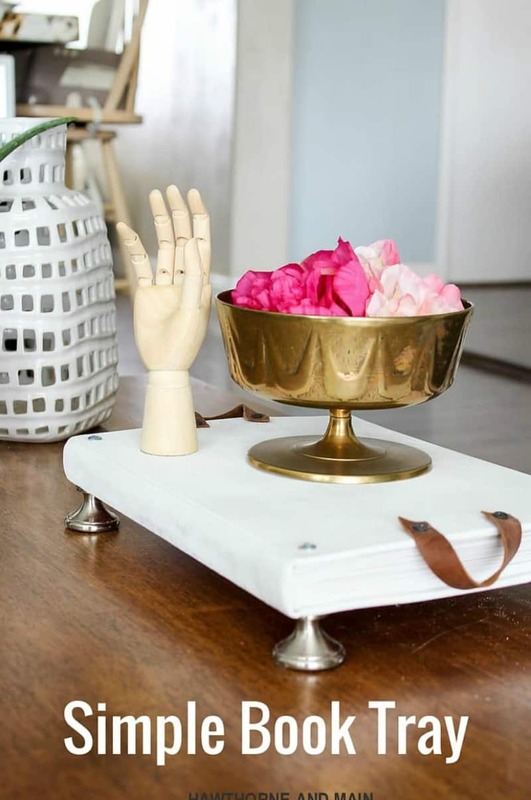 Here is a fun way to upcycle those old books into something new, a simple book tray! Grab an old book, the bigger the book the better. 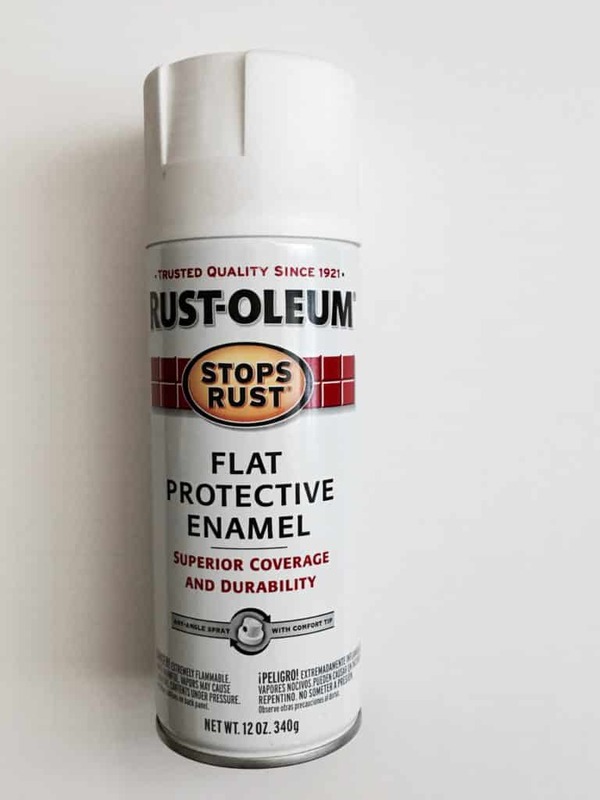 Using an oil based spray paint, spray the entire book. Remember to do light even coats. It may even take 3-4 coats to get nice coverage, especially if the book you choose is bright orange like this one! 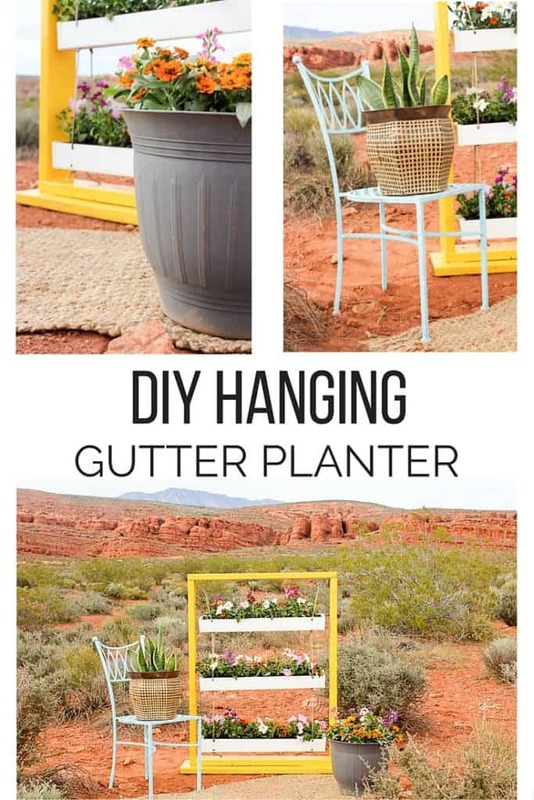 After all the paint is dry, grab your drill! Drill a hole in each of the corners of the book. Install the knobs. 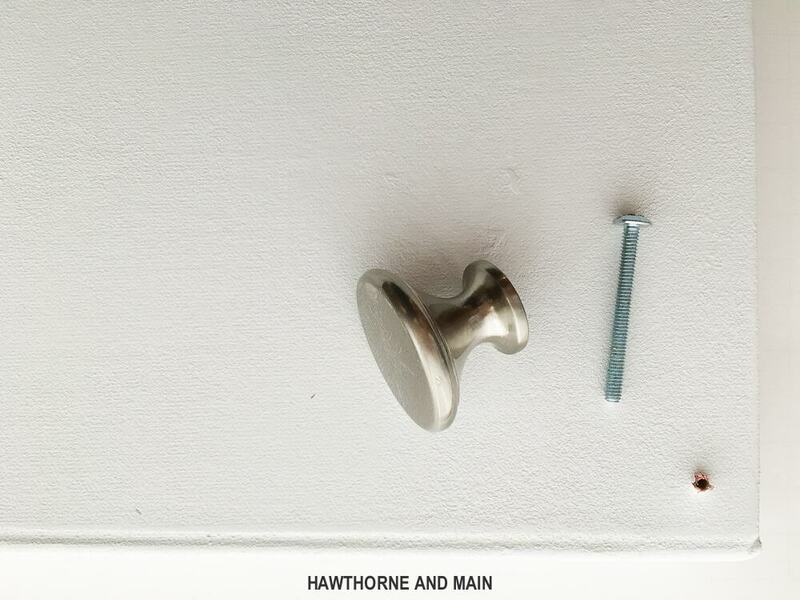 Depending on how thick the book is, you might need to get longer screws. 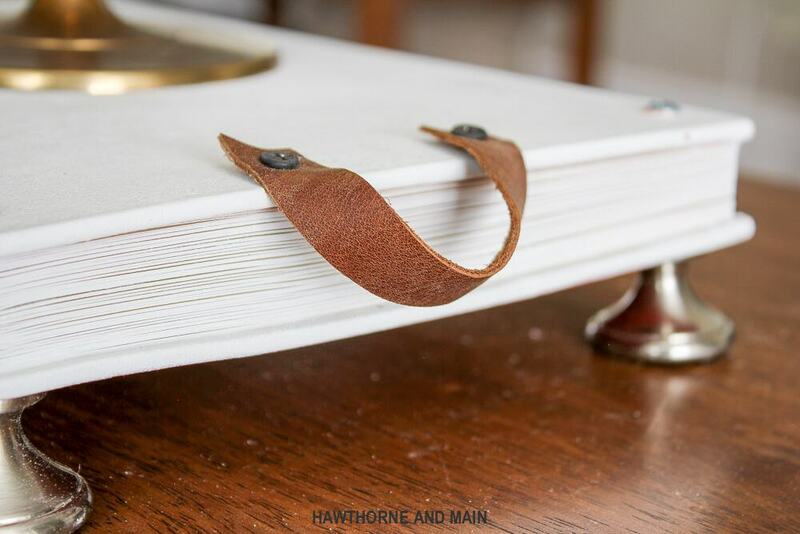 Use your drill and wood screws to attach a piece of leather as a handle to each side of the book. Done! 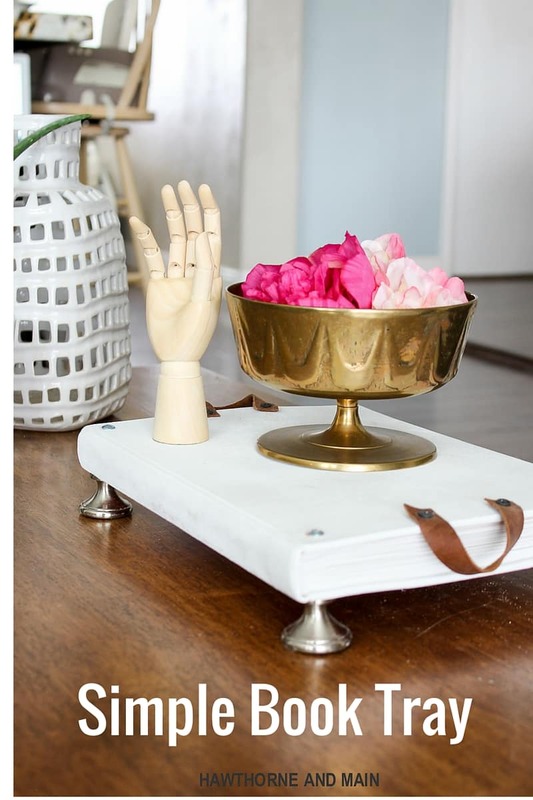 Now you have a simple serving tray that is sure to spruce up your coffee table this summer! 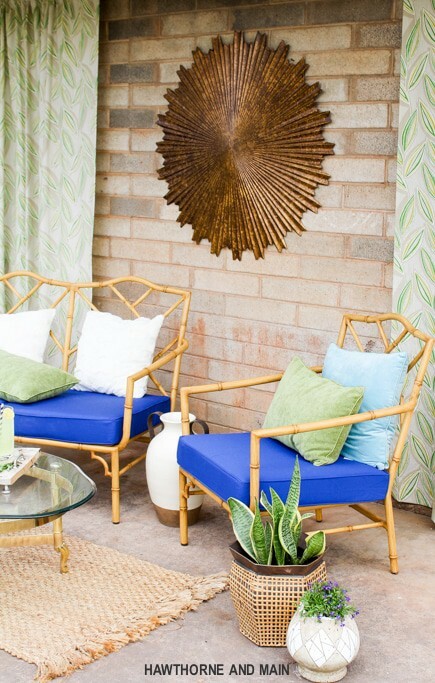 « Patio Makeover – At Home Haul!